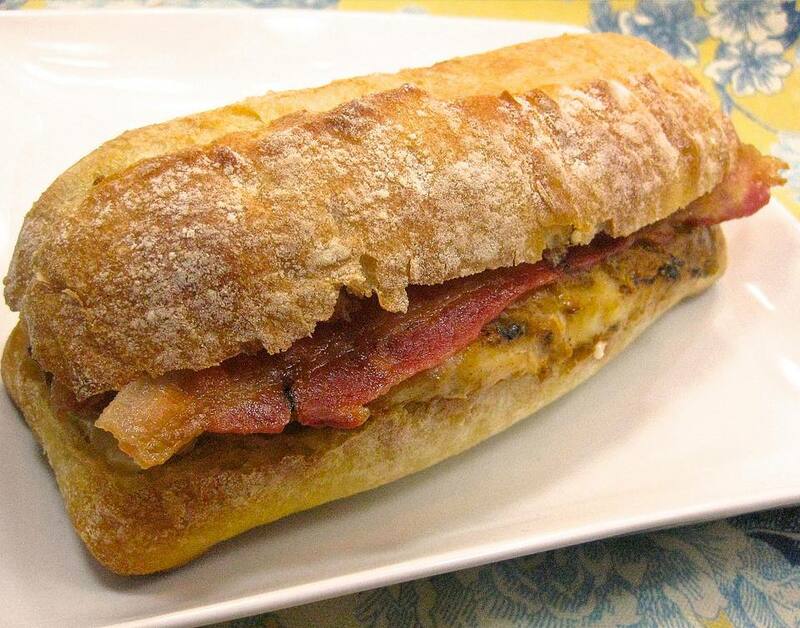 Toasted Fish and Bacon Sandwiches is one delicious way to make fish lovers of your family! Pair anything with bacon and mayo and people will eat it. 1. Preheat oven to 350°F. Lightly toast the sandwich buns and set aside. 2. In ​a large skillet, heat olive oil over medium heat. Sprinkle fish with salt, pepper and marjoram. 3. Sauté fish in oil, turning carefully once, until fish flakes when tested with fork, about 5-7 minutes. 4. Assemble sandwiches using fish, bacon, mayonnaise, and mustard. 5. Wrap in foil and bake for 10-15 minutes until crisp.